Love the Library - and WIN with Reading Eggs! There are many things that I imagined I would do (or not do) when I had children and in most cases it turns out that I was completely wrong - providing fresh home cooked meals every day, no junk food, limited tv and technology time, educational arts and crafts etc but one thing I was right about was the fact I would read to my children and try and encourage a love of books in them. As a child I absolutely loved visiting the local library, and spent many hours there choosing hundreds of books over the years. I remember the excitement of becoming old enough to get an adult card and suddenly being able to take out 9 books at a time. I think they actually let me get one early as I used to go through the books so fast! When Leo was just a couple of months old I took him to a Baby Bounce and Rhyme time at the library, and although he was way to young to appreciate it I know it is something I would have continued, and I'm sure we would have been regular borrowers of children's books as he grew. I regularly visited the library until we moved to Cyprus, spending many lunch breaks from work choosing books on all kinds of different subjects. I looked online for information about libraries in Cyprus and all I came up with was a library in Larnaca with a regular storytime and large selection of English books but the distance didn't make it practical to visit regularly. I had lived in Cyprus for several years before I even realised there was a library in my village. The books as you would expect are Greek , they did have a small shelf of English books although mainly baby books or for very young kids and Leo was not so interested in them. An idea started to form in my head, as it does, and after years of wishing there was a better selection I thought I'd see if I could do something about it. I approached the library and asked if they would be interested in donations to increase the English selection. 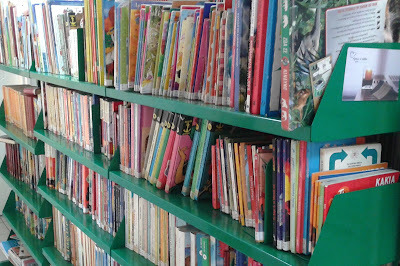 Most of the expat children here go to local Cypriot schools and are fluent in Greek but still prefer to read in English at home, I felt that a larger selection of English books would encourage them to visit and then eventually they would also become interested in the Greek books too. I always say I don't mind which language they are reading in, as long as they are enjoying it! I put out a plea on the Famagusta Parents Network and on facebook for donations of good condition books for all ages of children and was absolutely overwhelmed by the response! Thanks to the generosity of local businesses which acted as collection points and the lucky timing of an English primary school updating their school library I ended up with something close to 600 books with everything ranging from baby board books to teenage novels!! Of course, our little village library had nowhere near enough space for all of these so the local Cypriot primary schools have found homes for many of them to help with the children's English lessons and the surplus has gone to a couple of local charities to raise funds for them. My boys have had great fun helping me sort all these books out, reading tons of them in the process, although now they are all in their new locations I must say I'm pleased to have my house clear again! 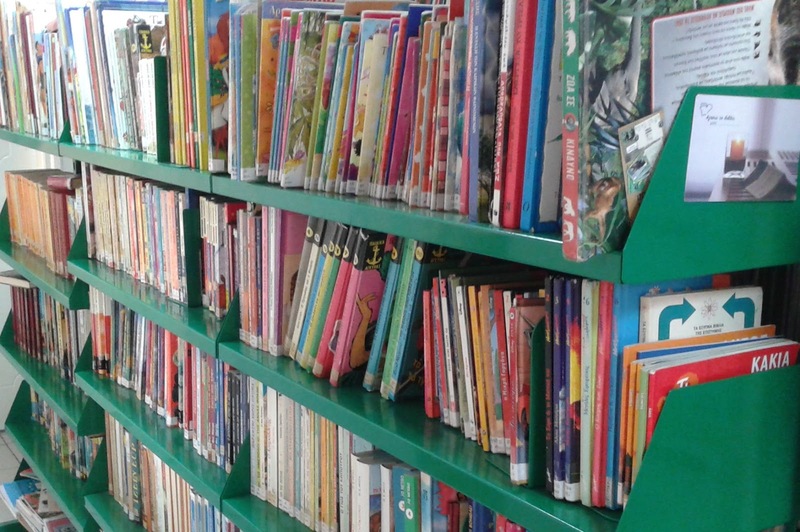 You can find more information on the Book Day event, and Deryneia Library over on the Famagusta Parents Network website.